Save time and HUNDREDS of dollars. We will do the filming and provide you with a hi-res file to use in your Internet video project. With our Custom Video Presentations you get a Video Spokesperson, Professional Editing, Motion Graphics, and Lots of Images and Effects. Great for your Corporate or Sales Video, a Product Demonstration or Demonstration of your Website or Software. We put it all together and provide you a Full HD 1920X1080 video. We use fast-paced, brain stimulating imagery and content to ignite your customers interest in your solution and ignite their buying habits. Includes Collaborative Scripting, Creative Storyboard and Custom Drawings. We create high impact, exciting VIDEOS that explain your product, service, software or business. Talking Heads® can explain your product, service or procedure in an Animated Explainer Video! Our Animated Explainer Videos powerfully explain things step-by-step, and keep your viewers' attention! We create custom video content tailored for your business and marketing objectives. 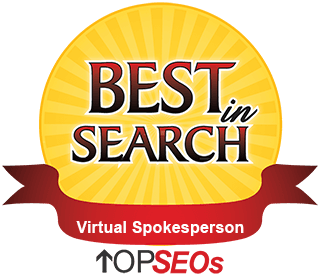 Since 2001 we have been passionately helping people and businesses improve their Internet marketing. We understand the business of Internet Video and we specialize in Video Spokespeople. We pride ourselves on our high quality and successful spokespeople and professional video artists. Our videos are all shot and built here at our headquarters to maintain quality and precision. We do not outsource our filming to any other studios. It is all filmed HERE! Check out our awards. 80% of all internet media content by 2019 will be video. Having a video on your page increases traffic by 80%. When consumers see a video of a product or service they are 90% more likely to buy it. Marketing strategists are facing a growing and competitive online landscape where the key is video production. Welcome to Website Talking Heads® where we offer video solutions for your business. We look forward to working with you to take your business to the next level! Our Website Spokesperson comes with the most robust, free, copyrighted player on the market today. View our features page to get a better idea of what products and services you would like to discuss with us. We also have specialty players to provide specific video solutions. 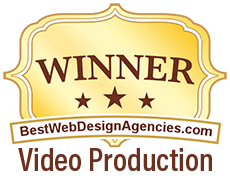 With over a decade of experience in the Video Spokesperson website industry, he business of Internet Video and Internet Marketing is our specialty. We pride ourselves on our high quality and successful actors and actresses along with the best in Internet marketing to promote your business. Our videos are all shot and built here at our headquarters to maintain quality and precision. We do not outsource our filming to any other studios. It is all filmed HERE! 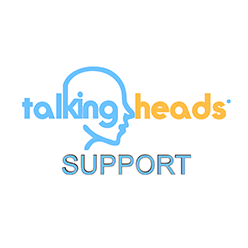 No matter what term you wish to use: Video Spokesperson, Virtual Spokesperson, Website Spokesperson, Web Spokesperson, Spokes-model, Walk On Actor, Virtual Actor, Person on website, Online Spokesperson– we welcome you to Website Talking Heads®. We would be happy to talk with you about your ideas of using a video spokesperson. All of our Video Spokespeople are professional actors and actresses. View them here. Add a Spokesperson to your website to welcome visitors and direct them to key areas. Our personalized approach is what sets us apart from the competition. You will receive your own Project Manager and all technical support is done in-house by the people that design our products. A Video Spokesperson gives your website the added edge of modern techniques that catch your site visitors’ ears and eyes. View our examples page to get a better idea of what products and services we provide. Take a look at our Testimonials and see how we can take your business to the next level! We are committed to all of our customers. If you have any questions our friendly and knowledgeable video specialists will help you with your video needs. Talking Heads® is an online company that focuses on providing individuals and businesses with custom videos that would best present their interests and brand. Our custom videos can transform your pitch into something shorter and more eye-catching. We will help you establish your brand with a viewer, whilst providing them with the reasons why they SHOULD give you their time. Whether you need a video sales video or to explain your process, our videos will reach your intended audience. Call us at 801-748-2281 for a quote today! We’ll be more than happy to answer any questions you have. You’ve seen them before. These are the people who greet you and introduce a business’ services or products whenever you visit their website. A video spokesperson, also known as a virtual actor, is basically an online video of actors overlaid alongside a site’s content. Instead of reading plain text, which can get boring for some, these actors basically walk you through everything you need to know and keep your attention for much longer when compared to simple articles. Think of them as no different from the presenters you see on TV. Whether they’re relaying information, news updates, messages or trying to sell you a new product, their job is to hold your attention and convince you to give what they’re offering a try. Not an easy feat considering the short attention span that most people have! This is one of the reasons why choosing the right actor or actress for the job is important. Website Talking Heads® creates Website Spokesperson, Presentations, Whiteboard and Animation Videos. We have more than a decade of experience in web video.